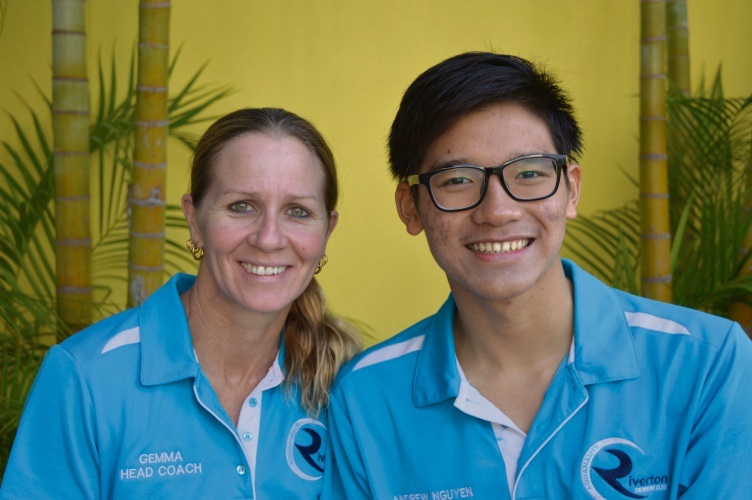 Swimming coach Gemma Herrington and Andrew Nguyen. LOCAL teenager Andrew Nguyen took on the country’s best young swimmers at the 2018 Australian National Age Championships in Sydney last week. The 15-year-old Riverton Aquanauts member competed in the 100m and 200m breaststroke events, finishing 6th and 10th respectively. Andrew said he was happy with how he performed. “The results from this year are wonderful and I cannot ask for anything more as I made two finals for both events,” he said. “It’s a really a big improvement compared to last year. Head coach Gemma Herrington said Andrew competed strongly in a talented field.